We are delighted to announce that we have recently launched a petroleum products retail outlet at Alapere, Ketu, Lagos. 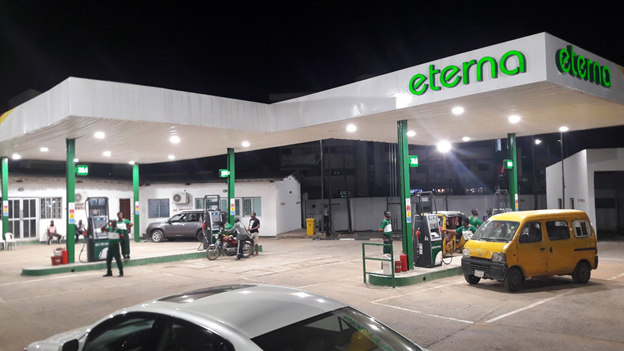 The new station includes state-of-the-art fuel dispensers and the signature ‘value for money’ service that Eterna customers are accustomed to. You can be rest assured that you will get full value for every litre of product you buy at our station. We also have a full complement of Eterna and Castrol lubricants at the retail outlet. In line with our CASHES policy, we are partnering with the local community who have been genuinely welcoming. We look forward to offering you quality service.